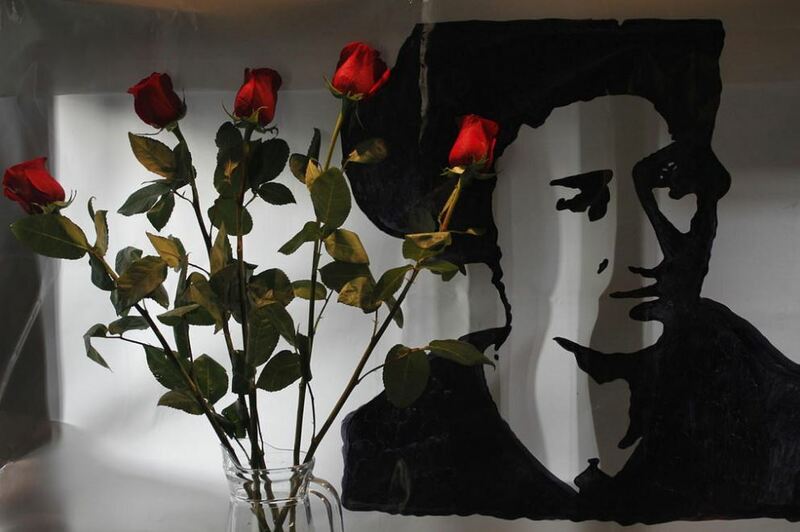 On the 100th anniversary of her murder, Rosa Luxemburg’s incredible life provides us with a model — not necessarily of what to do, but of how to do it. Luxemburg’s life and work speak for themselves: she wrote, read, and spoke multiple languages, finished her PhD at age twenty-six, and founded a series of socialist magazines and even parties. Her career can only be understood in the historical context of Germany’s turn-of-the-century workers’ movement, at the very pinnacle of the Social Democratic Party (SPD). She engaged in lively exchanges with other impressive intellectuals and politicians; women like Clara Zetkin were close allies. Luxemburg came of age inside a socialist mass culture that deeply believed that the working class’s victory was on the horizon. She retained her iron faith in this future even after the disaster of 1914, when the SPD — along with the German masses — decided to serve the Fatherland in World War I, abandoning its aim of abolishing capitalism. Yet experiences like the Russian Revolutions of 1905 and later 1917 provided Luxemburg with “proof” that political transformation was still possible. This kind of unshakable revolutionary faith is hard to imagine in the present, especially when one thinks of the rainy, uninspired demonstrations commemorating her death every January in Berlin, or compare today’s party and trade union bureaucracies with those of Luxemburg’s time. The long period of welfare-state compromise followed by neoliberal deregulation (brought forth by the social democratic parties themselves) have seemingly written the working class out of public discourse. Since 1989 at the very latest, no right-minded person can honestly share Luxemburg’s confidence that the victory of socialism is inevitable. Instead, we have to begin anew, and reimagine a mass socialist movement rooted in our communities and workplaces — one able to challenge capitalism at every turn. This can hardly be done by imitating the Social Democracy that existed before World War I. And yet Luxemburg certainly can teach us a few things about socialist method that do apply even a century after her death. Rosa Luxemburg’s sharp analysis, conducted with an unparalleled command of Marxist theory, remains both unique and impressive. Yet precisely because any attempt to copy her or the time in which she lived can only result in failure, the modern left prefers to linger somewhere between well-meaning hymns of praise to a martyr and the quiet melancholy over a lost past. Sometimes (sadly), Rosa shows up as an icon on posters or shoulder bags. This is unfortunate, as Luxemburg has more to offer than just interesting history. Her work reveals at least two decisive insights for today. Firstly, the “brutality and insanity of our present capitalist economy” remains unchanged, and continues to undermine both natural resources and human labor power — that is, the foundations of this same economy. The need to transform production has not gone away, and has grown even worse in the face of looming environmental disaster. Yet as capitalism continues to expand into non-capitalist spaces and spheres of life, it also extends its own lifespan. That is, it will not necessarily collapse on its own. Rather, working people need to intervene politically in order to bring about a different, better society. In Luxemburg’s eyes, this political intervention required education and learning from experience. Every protest, even those that fail, could help to create new, more successful movements. In this spirit, she served as one of the most popular instructors at the SPD’s party school, convinced of the need to equip party members with the tools to understand real-world developments themselves. In this sense, her most important legacy for future socialists is not the what of socialist theory and politics in the form of written formulas or laws, but rather the how of understanding and transforming society. Especially in an age when capitalist markets, transnational corporations, banks, and their crises appear to be catapulting humanity into disaster, developing a precise understanding of how these actors and systems function is essential to political strategy. For instance Luxemburg paid close attention to the connections between militarism and colonialism. If she were here today, she would tell us to study all of the statistics on Chinese industrial policy and compare them to German and US equivalents. If Luxemburg had her way, every socialist would be able to explain the relationship between the West’s military withdrawal from Syria while simultaneously strengthening its own borders against refugees. She would have ripped to shreds hollow slogans like “Trumpism” or “populism,” which are used to classify different governments as “good” or “bad” but are largely useless for understanding the ways in which these regimes actually function. She would have countered rhetoric about a “post-political age” by precisely reconstructing the interconnections between economic interests, the development of the productive forces, crises, and ruptures and showing what forms of government emerge from them. At the same time, she was a sharp critic of her own organizations: the parties of the working class and the trade unions. By and large she accused them of responding too rigidly and bureaucratically to the challenges — and the political earthquakes — of her time. Today, the Left’s distance to protest — let alone political violence — is much deeper. The battles we wage are almost exclusively defensive in nature. Luxemburg, who after the Russian Revolution of 1905 wrote a sober yet militant pamphlet on The Mass Strike, moved in a different manner. Learning from the events in Russia, she concluded that it is impossible either to will a strike into existence or to stop one. In this she opposed both sides in the German debate of the time, which adhered to an anarchist understanding of the mass strike as a merely technical affair, only as a means to employ. She was more interested in discovering the objective sources of the mass strikes and using the potential they offered to achieve political goals. Thinking about her insight today, we can immediately relate it to the gilets jaunes movement in France. These protests by the lower-middle classes from the provinces have shaken French society. The fact that they are not (yet) represented by trade unions and other political organizations poses important questions of socialist politics: how these organizations can support these protests and use them to win far-reaching transformations. In today’s situation, Luxemburg would oppose the social compromises and “treading softly” of the trade unions and call on them to get to work. Though the spontaneity of the masses was always very important in her eyes, it was nothing if not paired with the years of previous “underground work” by the workers’ organization, such that it would ultimately be able to take power. You can’t have one without the other. It is this thinking in contradictions that defines the How of Luxemburg’s revolutionary politics. That leadership and spontaneity are not mutually exclusive but rather conditional is a core element of her thinking. The same was true of her support for reforms leading to real improvements to the living conditions of working people, while simultaneously remaining focused on the long-term goal of a democratic socialism — a balancing act Rosa described as “revolutionary Realpolitik”. Like many elements of the Marxist canon, this formulation has been reduced to an empty phrase in left-wing politics and thereby stands in stark contrast to Luxemburg’s own, much more lively thought. She was less preoccupied with the formulation itself, but rather actual practice — particularly the practice of those capable of understanding and exploiting capitalism’s moments of crisis. She feared that the everyday work of serving in government would obscure the goal of taking real political power. The Left remained too tied to an ultimately apolitical logic of practical necessity. Yet even now, in our seemingly defeated, post-political age, things have begun to stir: technocratic styles of governance have exhausted themselves. The political right also profits from this exhaustion, putting heroic myths back into the political sphere in the form of authoritarian power — usually in the hands of powerful men. Even Francis Fukuyama, who once declared “the end of history,” says he wishes socialism would come back. And indeed, democratic socialists are taking the political stage in many countries. The fact that a new generation is rediscovering socialism together with older, previously marginalized leftists is not a matter of coincidence nor luck, but a result of previous waves of political protest. But the “underground work” and training up of new left-wing heroes remains, for the most part, in its infancy. What could give us strength is, as with Luxemburg, a lively and worldly language that connects the everyday consciousness of the masses with the visionary idea of another way of producing and living. Luxemburg’s analysis and her humanist pathos are pathbreaking, as is her understanding of political education and organization. For the coming crisis of our age we need not one, but many Rosa Luxemburgs — women and men, young and old, black and white, and in every corner of the world. The struggle for socialism that her generation waged and ultimately lost remains as current as ever. If our generation fails to pick up the baton, humanity may not get another chance. Republished from Der Freitag .